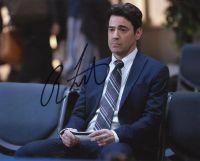 A trusted resource for authentic TV & Movie star autographs & memorabilia. In business for over 29 years and an inventory of thousands of signed celebrity autograph photos. A member of the Universal Autograph Collectors Club (U.A.C.C.) in good standing for over 26 years. As well as a U.A.C.C. Registered Dealer #049 in good standing since the induction of the Registered Dealer Program. I have also served as a U.A.C.C. Regional Director for RI, MA, CT, ME, VT, and NH. So relax. Shop around the site. I am sure you will find something you like between the signed photos, movie props, film cells and MUCH MORE! There is something for everyone here. If you have any suggestions or comments for the site please do contact me through the contact page. Also do register for my bi-weekly auctions on the auction page. Where you will find the latest and newest items at low starting bids. A chance to get the latest items at the best prices! Visit www.ebautographs.com/auction/ now!